Having a giant dog is fun, but it can also get a little crazy sometimes, especially when it comes to picking out dog products and trying to find extra large dog crates, beds, houses and other pet supplies. 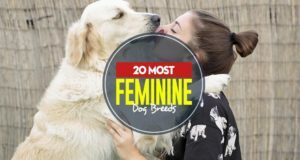 Large dog breeds, such as Mastiffs, Cane Corso, Newfoundland, Leonberger and others are amazing canine companions, but they also require some serious work. Dog food, bowls, pet grooming equipment, carrying cases, and more; all of that needs to be sized and tailored to fit the unique needs of a large breed of dog. Dog crates, which are so useful in making sure your pet has a place to sit and rest, can present a significant challenge to owners of larger breeds who wonder exactly how any type of man-made equipment can house their gigantic animal. So how do we pick extra large dog crates that will definitely fit a huge dog? Here are nine that I have come up with. When it comes to picking out a dog crate, you’re need to make sure that you know what you’re doing and what you’re looking for. Larger dog breeds have health needs specific to that particular breed that can change the type of dog crate you buy. Large breed dogs are considered those that weigh over 60 pounds once they are full grown. Most common health problem associated with these breeds – as is to be expected of such a giant animal – is hip dysplasia, where the hip joint forms incorrectly and presents big issues for the dog and the owner. Any kind of problems with dog's joints and bones can lead to soreness and – while I'm not suggesting that every large-breed dog will get this – it is something to be aware of. When you're about to select a dog crate for your big canine, you want the dog to not only have room to stand up and turn around in, but also plenty of room to put down a dog pillow (or a dog bed), which will cushion their joints and muscles, and possibly some dog toys. Luckily for dog owners, companies have taken pity on your struggles and offer a wide range of extra large dog crates for your beloved pet. 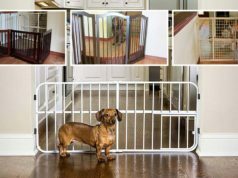 While I myself was searching through them, I thought of some tips and useful things to consider before purchasing and selecting a large dog crate. First, what you need to do is measure your dog before you do anything else. You want to know what it is that you’re working with before you begin. Measure your canine's length from nose to tail and their height from floor to the top of their head. This way, when selecting your extra large dog crates, you’ll know which ones you’re able to mark off from the very beginning. Once you have your dog’s measurements, you’re going to want to give them at least eighteen inches of room. So, if your dog’s length is 40 inches, you’ll want a dog cage that’s at least 58 inches in length so that your gigantic pooch can turn around comfortably. These are the minimum measurements; you can certainly choose a bigger dog crate if you feel like it. Then, whether or not your dog has separation anxiety actually does matter when choosing a crate for dogs. Pets with separation anxiety tend to be massive chewers. They’re upset about the fact that they can’t be with you, and they will chew the bars of the cage to no end just to try to work their way out and be next to you. It’s a bit sad, actually, but unfortunately, you have to break them of that habit. If your dog has separation anxiety, make sure that the bars you choose are very sturdy and durable. Obviously, every company is going to advertise that they have the most durable dog cages. But customer reviews, especially on Amazon where anything goes, are usually a good point of reference to know how effective the product is and whether or not the company was honest about its capabilities. Always read customer reviews to find out what people are saying about your extra large dog crate and how durable the wiring is. Housebreaking is another thing to consider when selecting a large dog crate. Puppies that are being housebroken may need a divider in the crate. A divider separates the sleeping and eating area from the bathroom area, which makes for a much easier cleanup for owners of giant breeds. The divider is usually plastic and separates the dog crate into two parts (sort of like two mini-rooms). Another consideration is whether you want to keep dog food in the crate with your pet or not. Some owners like to avoid keeping dog food in the crate due to their dogs overeating and gaining weight. It’s also less of a mess if they spill their dog food. If you want to keep mealtimes structured, having a bowl of dog food always around probably won’t be very useful (water is fine, though). Always make sure that the bottom of the crate will be easy to clean. It should be made of materials that won’t make cleaning a nightmare. Plastic, steel, and other non-absorbent, easy to clean substances will make your job a whole lot easier. If you can, try to find an extra large dog crate that has a removable bottom so you don’t have to climb in there yourself. Usually, when purchasing dog crates for large dogs, there will be an option of what type of doors you wish to select; double or single. Double doors are more convenient if you have more than one canine sharing a dog crate because that can make the single door somewhat confining. If your pet crate is going to be against a wall, a single door might be a better option because two doors are unnecessary, as one will probably be pressed up against the wall anyway. Lastly, be cognizant of the locks on the doors of the dog crate. Canines—most of them, anyway—are clever. They can figure out locks over time and break themselves out of the pet crate, either by maneuvering the lock itself or biting their way through. Choose a lock that is made of sturdy steel or other reinforced material and is also a bolt-latch configuration. The bolt-latch is secure and slides firmly in place, preventing your pooch from using puppy engineering to wheedle his way out. A bolt-latch is the most secure way to ensure that your dog doesn’t make a break for it. Now that you’ve read my tips on choosing your next dog crate for a large dog, hopefully your extra large dog breed won’t need to struggle and you'll get a pet crate that works well for him or her. Just remember that dog's safety and crate's sturdiness are the key factors to a successful piece of doggy equipment. Happy shopping! Next articleWhat Drives People to Poison Dogs?